You can add policies in one of two ways, either by creating a new policy or by copying an existing policy as a starting point. Each method is described below. Once you have defined a policy name and given it a description, you can then determine the policy settings as described in Editing Policies. From the main console, click the Global Settings tab. 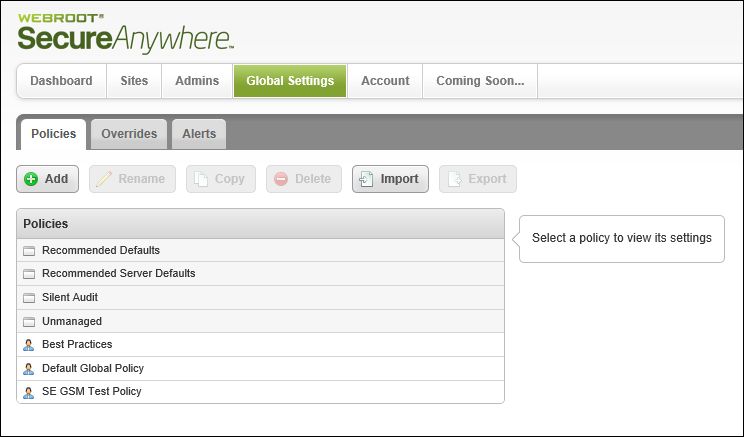 The Global Settings panel displays, with the Policies tab as default. The Create Policy window displays. In the Create Policy window, enter a policy name and description of up to 50 alphanumeric characters, then click the Create Policy button. 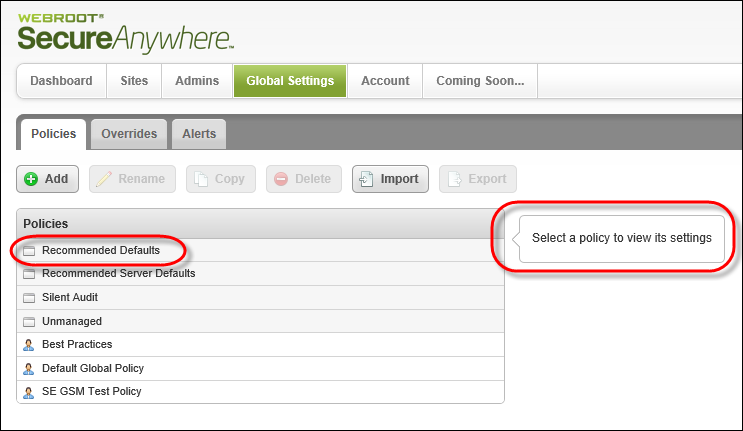 Locate your new policy in the Policy tab. 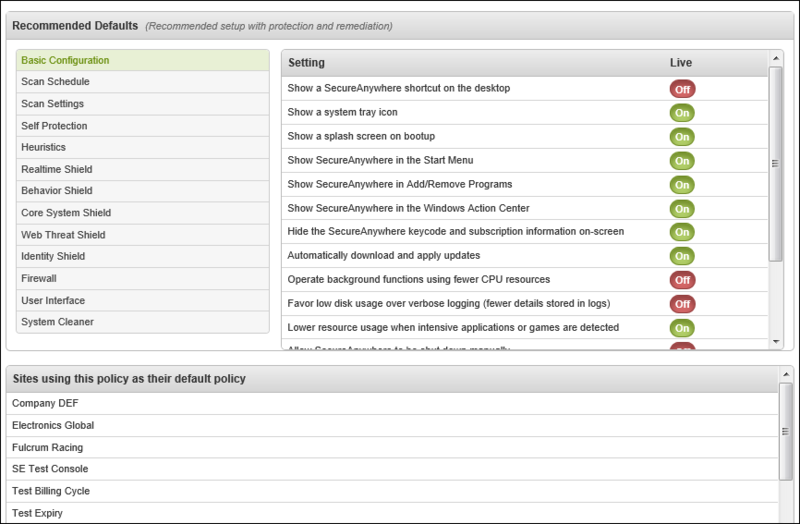 Double-click the policy you just created to view and modify the settings. The system displays information about that policy. For information about editing policies, see Editing Policies. For information about deleting policies, see Deleting Policies.